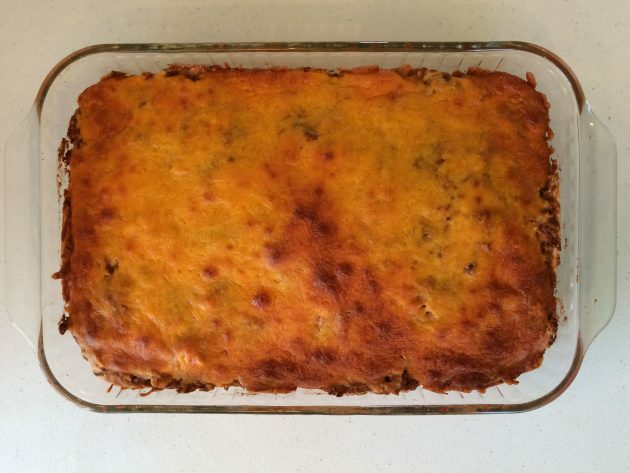 I told you all that during my last freezer cooking session, I got creative (er, lazy) with our usual Southwest Roll-Ups recipe and turned it into a lasagna-like casserole. I wasn’t sure how we would like it, but I was curious to see! 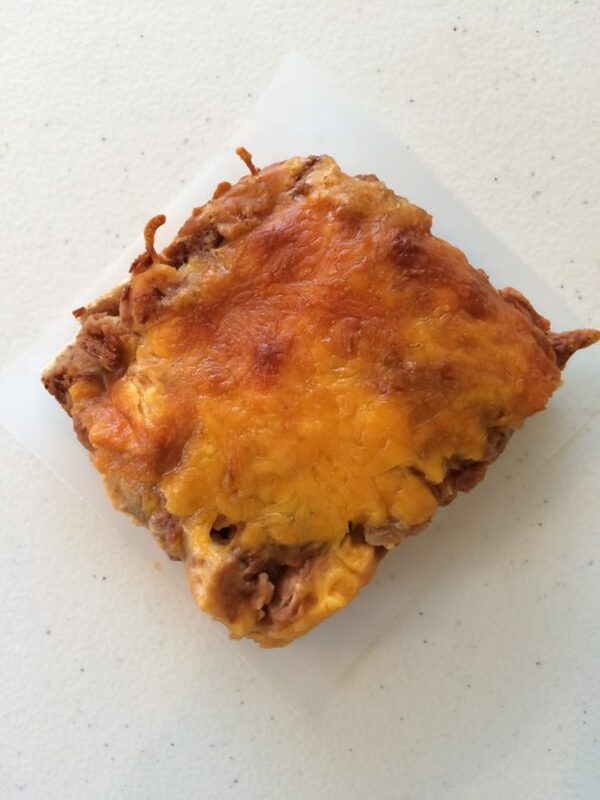 Well, we pulled it out of the freezer and ate it recently and the verdict is in: it was a HUGE success! The whole family loved it! 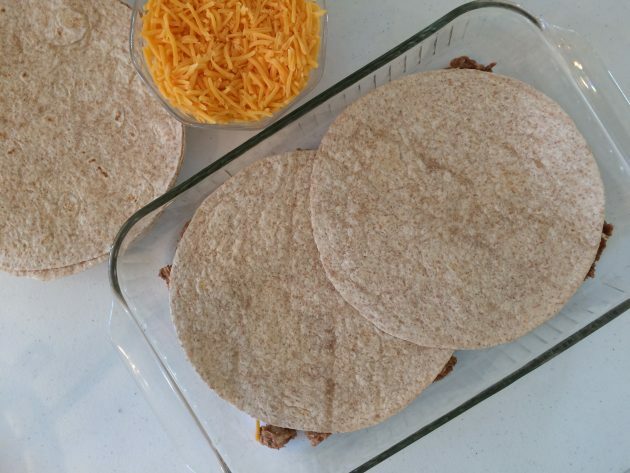 In fact, we loved it better than the regular roll-ups recipe — which is saying a lot since those have been a family favorite for a long time. 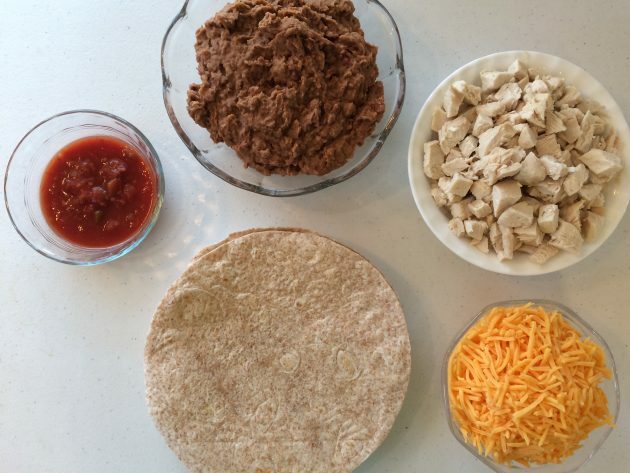 You don’t have the individual burrito servings like you would usually have with the roll-ups recipe. So this can no longer be used for a quick snack or individual meal. 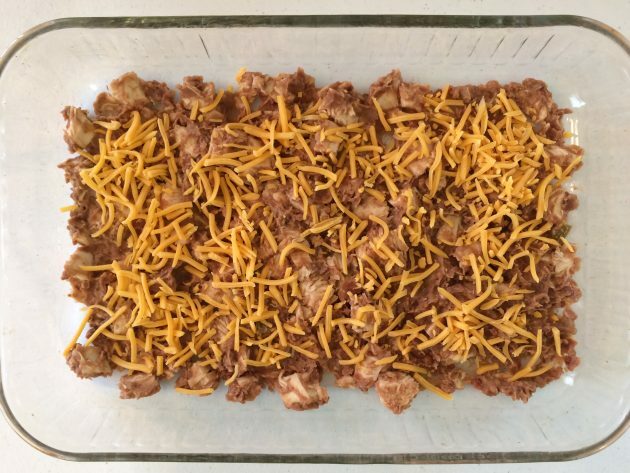 You have to freeze in a casserole dish and it takes a LOT longer to thaw (I pulled it out the day before and let it thaw in the fridge for 24 hours). It seems a little fancier than the individual roll-ups did. I think it’d be yummy served topped with chopped lettuce, sour cream, salsa, guacamole, and black olives. It’s just plain so, so good! 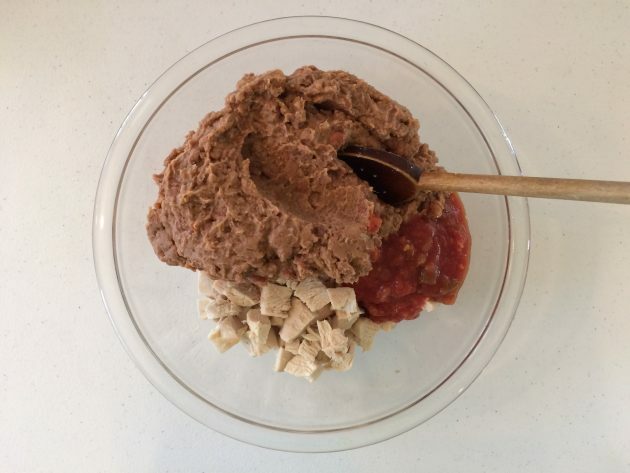 Mix together beans, salsa, and chicken. Spread 1/4th of the mixture on the bottom of a 9×13-inch baking dish. Sprinkle with cheese. Layer two tortillas on top. 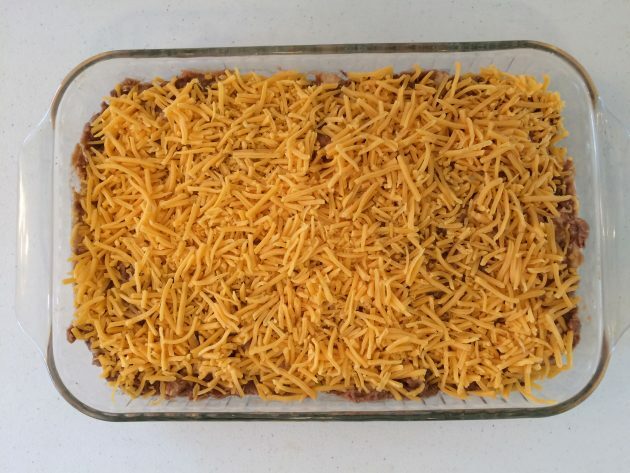 Repeat this twice and then end with another layer of beans and then sprinkle the rest of the cheese over the top. Bake at 350 degrees for 30 to 45 minutes until heated through. To freeze: Before baking, cover with foil and freeze for up to 4 weeks. Thaw 12-24 hours in the fridge. Bake at 350 degrees for 30-45 minutes. Makes one 9×13 pan. Serves 6-8. Tip: Don’t want to heat up your house? 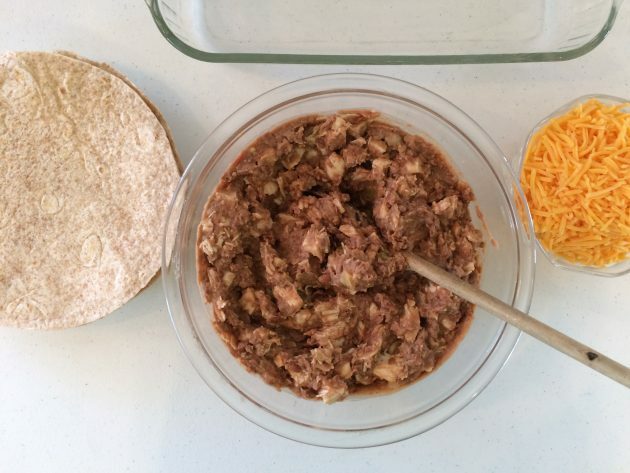 You could layer this in a crockpot and cook it on low for 2-3 hours. « Submit your questions for our Live Budgeting Q&A on Thursday! Have you ever tried this with verde salsa? I bet it would be even better! We love verde and it’s really good with chicken. I haven’t, but let me know if you try it! I’ve made something very similar. I used a can of green (verde) enchilada sauce and corn tortillas. SOOOO goood!!!!! 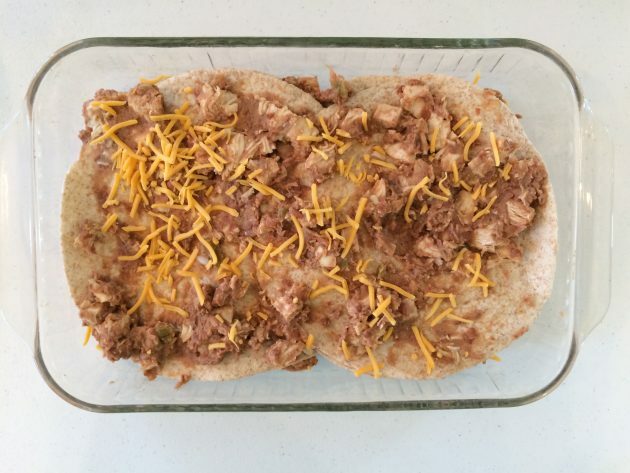 I live in New Mexico, and we usually make our enchiladas this way, but with corn tortillas. I love enchiladas. I love this idea for the (corny) enchilada flavor.. Thanks. This looks amazing!! 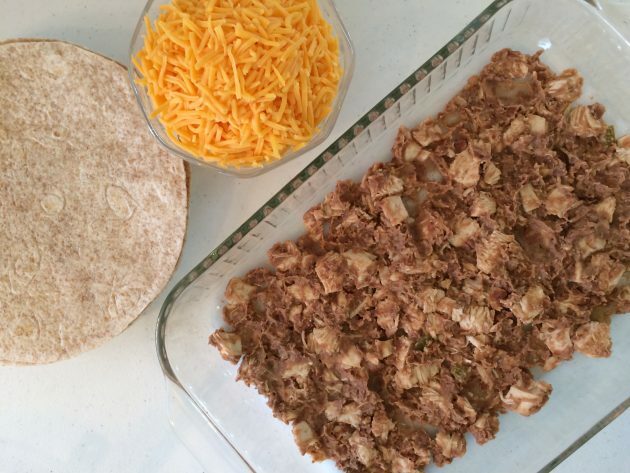 I love finding quick recipes that don’t taste like the “usual” freezer meals! This is perfect!